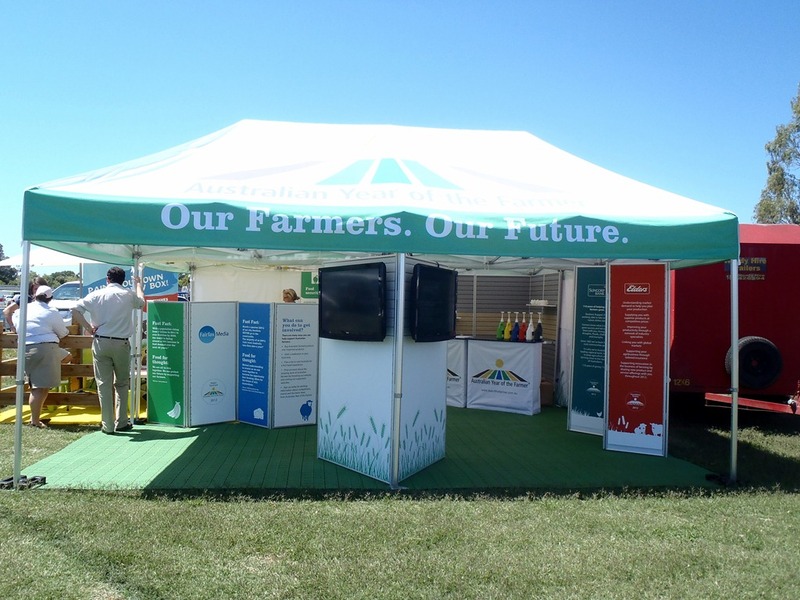 The Roadshow exhibits will be attended by some of the AYOF Ambassadors, industry leaders, celebrities and local identities who will “meet and greet”, interacting with the general public about the Year of the Farmer. 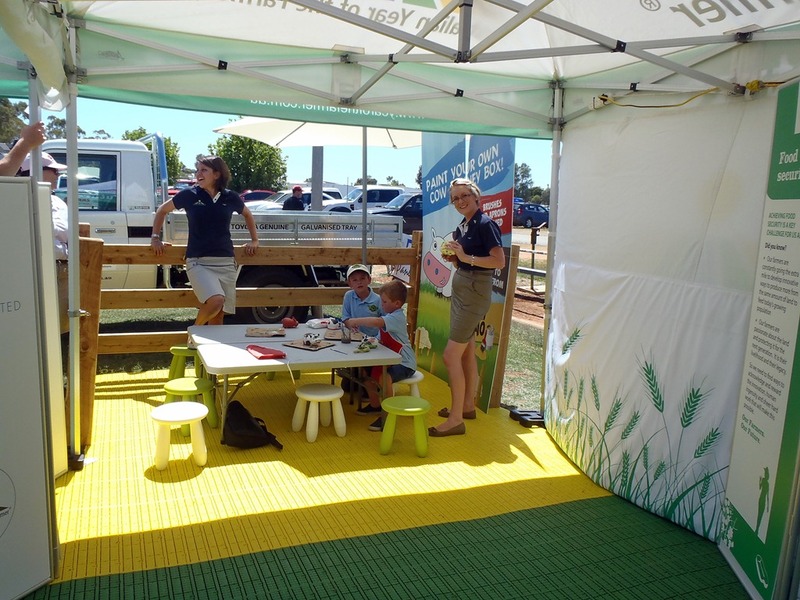 These Roadshow units will be exhibited at 250 plus events including the V8 Supercars, travelling a combined distance of over 56,000 kilometres, within twelve months. As a Young Farming Champion going into Sydney schools for the Archibull Prizeand talking with others in the city community, a common question I am asked is “what is it like to like in a country town?” There are a lot of negative misconceptions about what life in a rural community is like. In this post, I will share with you my perspectives and what I love most about country living. Melissa with the students from St Michael’s Catholic Primary School, Baulkham Hills. I grew up in the western Sydney suburbs of the Hawkesbury District. 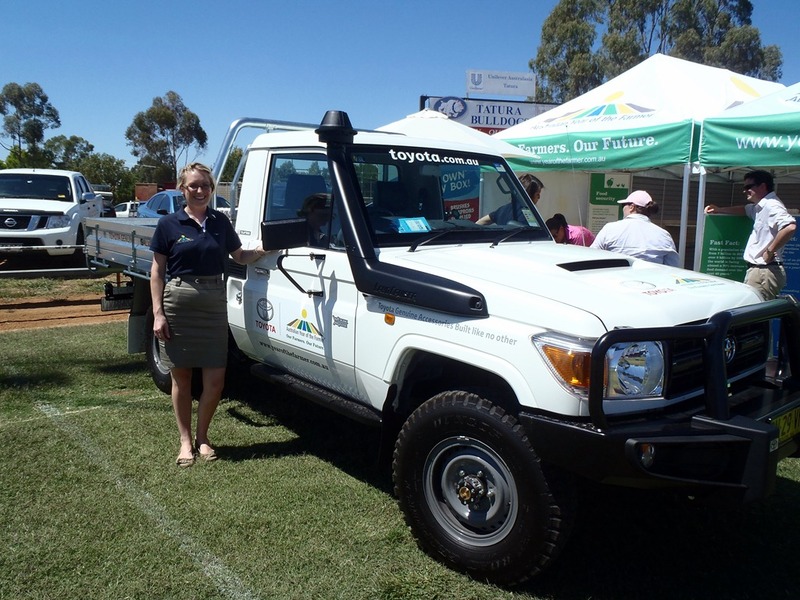 My first introduction to rural Australia was through my agricultural education – having the opportunity to show livestock and do project-based work in rural enterprises. I fell in love! I moved to the Boorowa/ Harden area in November 2010. Boorowa is approx. 1.5hrs west of Canberra and 3.5hrs south west of Sydney. 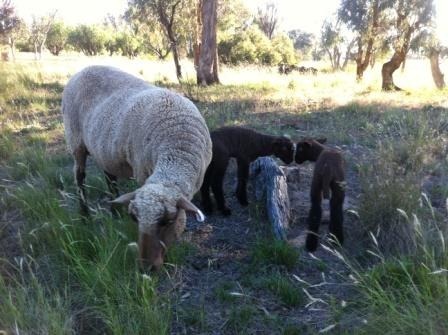 I am grateful for the opportunity to live in a location where I can fulfil my passion – owning a small sheep stud. I am also grateful for the lifestyle that I am now living. So what is in the town of Boorowa with a shire population of 2500 people? 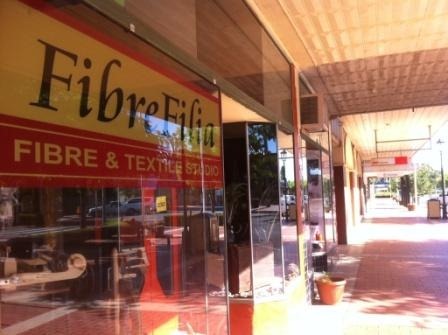 Bakery, cafes, butcher, gift shop, a fibre & textile studio, newsagency, post office, IGA, chemist, small hospital, emergency services, rural supply stores, Ex-Services Club, pubs with great meals and accommodation, Chinese restaurant, real estate agents, banks, mechanic, hairdressers, hardware stores, library, schools, recreation park, sports fields, race course, golf course, swimming pool, showground, caravan park, Council, Tourism Information, and the Lachlan Catchment Management Authority office (where I work). I find that it is everything that I need on a week to week basis. One of my favourite events in the year is Boorowa’s Irish Woolfest – a celebration of the town’s Irish heritage and the fine merino wool that is produced in the region. The event is made famous by the “running of the sheep” down the main street – Boorowa’s response to the Spanish running of the bulls! The town is a buzz for this October long weekend each year. In 2011 there was an estimated 18,000 people who came to see everything that Boorowa has to offer. Will I see you there this year? Art4agriculture Young Farming Champions are promoting agriculture as a dynamic, innovative, rewarding and vibrant industry and sparking the next generations’ interest in an agricultural career. Yet the retention rate in university agriculture based courses is far from ideal. Where are we going wrong? How do we fix this? This morning, @OzPIEF tweeted a statistic from the Department of Education, Employment and Workplace Relations stating that employment in Agriculture declined by 94,400 (24.9%) over the 10 years to November 2011. This caused me to reflect on two other Twitter posts that caught my attention recently. That’s nothing new to those of us who work in or with agricultural industries and the statistics back him up. In 2005 the Productivity Commission in their research paper “Trends in Australian Agriculture” found that the proportion of people working in agriculture with a degree was around 7% whereas 22% of the community as a whole had a degree. The other tweet was by @KondininGroup which referred to Victorian Farmers Federation concerns that the higher education base funding review has recommended raising the fees for agricultural courses at university by up to 25%. It seems incongruous that these two pronouncements can co-exist. How can the answer to low enrolments in Agricultural Science (AgSci) be to increase fees? But it made me think about what may be contributing to a low take up of AgSci degrees. I don’t think fees tell the whole story. Why are some Agricultural Science degrees still four years long? Agricultural Science is a complex and technical subject area but computer science, accounting, journalism and even many straight Science degrees are only three years. I don’t think it could be said that those students spending an extra year in Agricultural Science are rewarded financially for their efforts on graduation. Why are so many Agricultural Science degrees inflexible? I accept that AgSci provides graduates with a comprehensive understanding across a range of disciplines. I am continually reminded that a solid grounding in basic science is transferable across a number industries, which serves graduates and agriculture well. I wonder though, if a student is ultimately interested in animal nutrition, why do some degrees insist they study agronomy for three years before they can specialise? What is the link between AgSci and Farming? An AgSci degree doesn’t teach you how to farm, it teaches the science that underpins agricultural production. So an industry leader told me recently when discussing this issue. Some students are therefore disillusioned when they get to university and find the degree is focussed on science, not farming. Why can’t we retain students in Agricultural Science courses? I guess some of the above points may contribute to low retention rates. One farmer told me of the 100+ students in their first year only 4 graduated. Where did all those young people go? Well, some transferred to straight Science where they had more freedom to pursue their interests, some went home to the farm questioning the degree’s relevance to their family’s operations and some had just changed their minds about what they wanted to do…which is the right of all young people of course! I’d like to add a lack of clarity about career paths to the list. If a student decides at the end of first year that they don’t want to be an agronomist or farmer anymore, how do we let them know there are a number of other career options open to AgSci graduates? 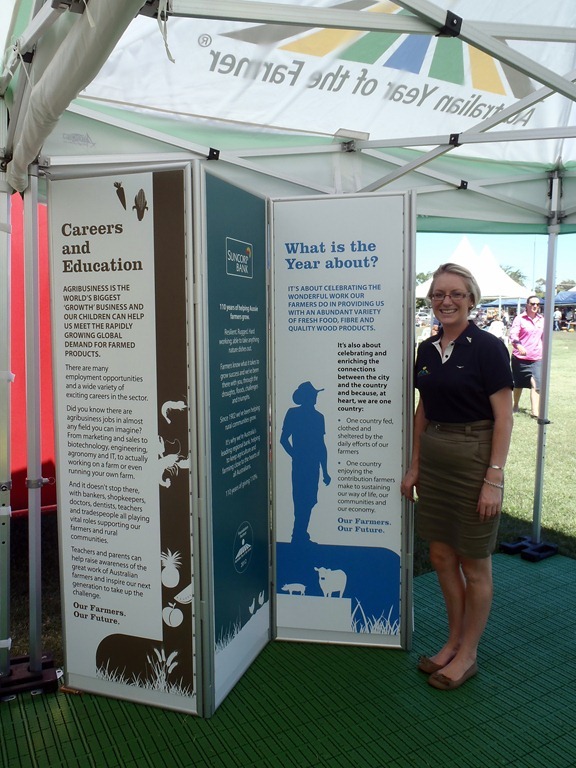 Apart from encounters with family and friends, how often do we take the time to engage with young people to demonstrate how rewarding and diverse a career in agriculture can be? We owe it to ourselves, to protect the investment we’ve made in our businesses and industries and to secure the future of food and fibre production, to support and invest in our young people. A new group of school-leavers are about to start their AgSci degrees…what will YOU do to keep them there? Giving…. Not just a once a year sport! We have all seen the traffic and conversations created through the Archibull Prize Program and the Young Farming Champions Program. 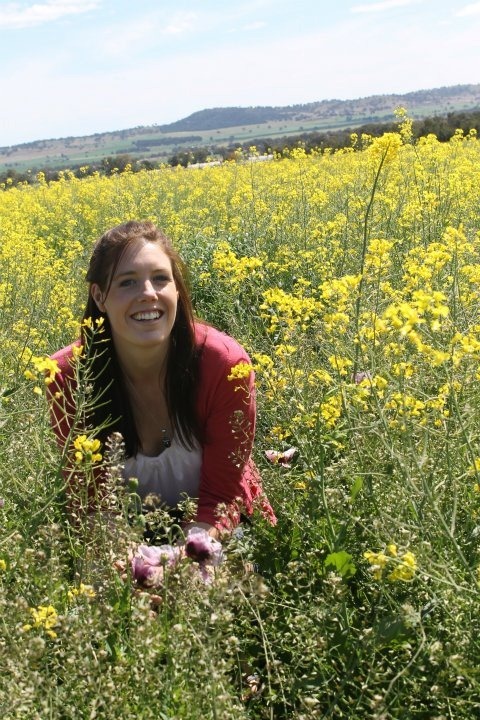 Some of the great ‘Agvocacy’ success stories have been Emma Visser (Heywire winner), Steph Tarlinton (profiled Young Farming Champion), Melissa Henry (Coloured sheep entrepreneur) and Hollie Baillieu (AYOF Ambassador), just to name a few. These amazing young women in agriculture have something in common – Lynne Strong and the time she has given to each of them to assist them reach their potential. It’s mentoring of the 21st century kind, where their individual talents have been exposed and nurtured and the modern day tools they need, like voice training, how to talk ‘consumer’ and video story telling have been given to them to get the message out there that agriculture is a great industry to be in. Lynne is one of those people who gives, and often does not realise the greatness of her giving on a daily basis – it is not a once a year sport, it’s a long and sometimes bloody tiring season, but I have seen the outcomes bring a smile to Lynne’s face and a tear to her eyes. So as you consider your resolutions for 2012, think about how you can inspire, motivate, mentor, support and be the change that we need to see in the agricultural industry to ensure a strong future. It can be as simple as not losing the moment or the opportunity to congratulate the great work that your fellow farmers, your friends and family do on a daily basis (that’s my resolution!) to being open to sharing your stories and experiences with the current generation, to being not afraid of having a big idea and putting yourself out there with it. That’s exactly what Lynne Strong and Art4Agriculture did and the proof from this giving is definitely in the Christmas pudding!! Merry Christmas and here’s to a great 2012! Author Picture You in AgriculturePosted on December 22, 2011 December 22, 2011 Categories Leadership, Young Farming ChampionsLeave a comment on Giving…. Not just a once a year sport! Our special guest at the 2011 Archibull Prize was the Minister for Primary Industries, Hon Katrina Hodgkinson who recognised the efforts of budding young artists as part of the agricultural art award, the 2011 Archibull Prize. The Minister spoke extensively with students from a number of schools as she viewed the finalist artworks which will be on display for six weeks at Woolworths Head Office at Bella Vista. “The Archibulls provide a unique opportunity for our city kids to learn all about farming, agriculture, and where our food comes from,” Ms Hodgkinson said. “Using videos, artwork, blogs and multimedia, school kids from Western Sydney this year tackled the theme, what it takes to sustainably feed and clothe Sydney for a day. 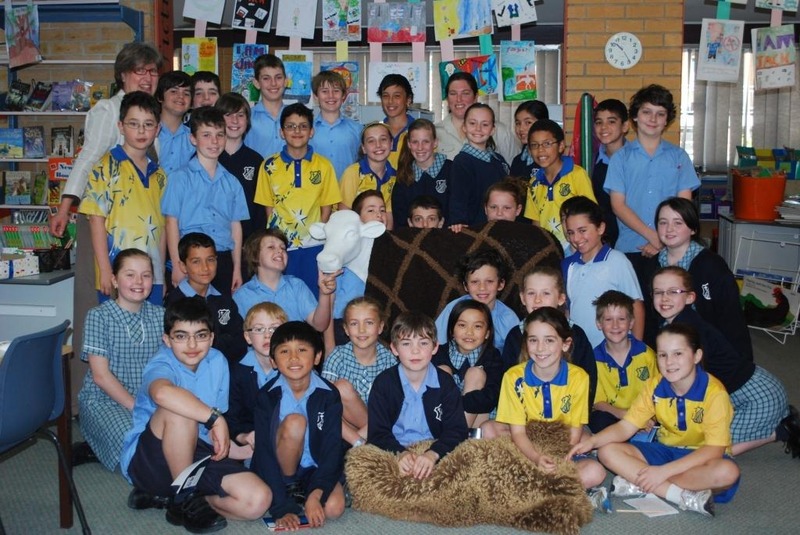 The students had the opportunity to express their thoughts on agriculture and rural Australia by designing and decorating an iconic life-sized fibreglass cow. As part of the Art4Agriculture awards, each school researched and showcased a key agricultural commodity, including dairy, beef, sheep, wool, cotton, grains and poultry. It was my pleasure to announce the winner of the 2011 Archibull Prize as Caroline Chisholm College of Glenmore Park who turned their blank cow into a Rubik’s Cube to tell the story of beef,” Ms Hodgkinson said. Ms Hodgkinson said the Art4Agriculture initiative is a great way for students growing up in the city to get a real insight into life on the land. More than 20 urban Sydney schools took part in the Archibull Prize this year. 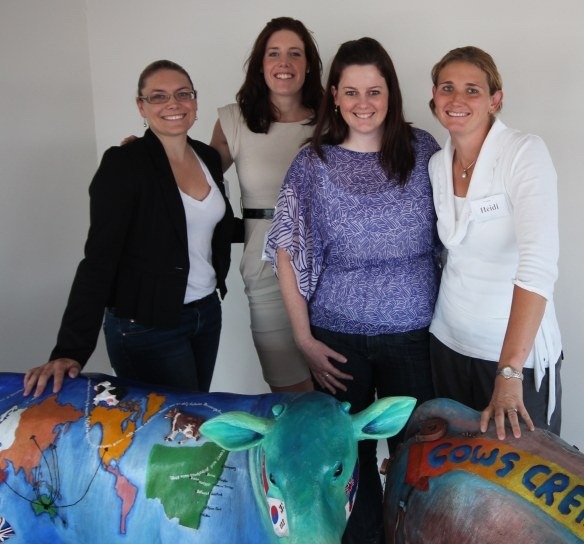 The Art4Agriculture Archibull Prize was developed with the support of the NSW Department of Primary Industries LandLearn initiative, Department of Agriculture Fisheries and Forestry and Woolworths and RIRDC. Everyone in this room is a leader – the fact that you came here today makes you one. You don’t wake up and think – today is the day I will be a leader. Its gradual, it evolves and sometimes you don’t even know its happened and perhaps it takes you a while to accept that you are one. Its only when you get ownership of something that that sense of pride sets in. When you are in part responsible for the success of something, you are responsible for the direction of a group and you are responsible for people other than yourself – that’s when you realise that hey maybe I do have leadership qualities. Being the age I am and the age most of you are in this room – I think we are becoming leaders, – we have a long way to go however, we are evolving into those sorts of people that have leadership qualities and those that have influence over others. I would like you to have a think for me – I would like you to think of someone that you would do anything for, perhaps someone you would trust your life with. While you are thinking of that person or maybe there are a few people that spring to mind, I would like to put something to you. I mentioned the word influence before. I believe that leadership is about influence, how you influence those around you. True leadership is there regardless of position within a business, group. They hold a high degree of influence, Those around them choose to serve them. I don’t see someone who uses their position to influence necessarily shows leadership. Hopefully you have all thought of that person you would do anything for, you would trust your life with. What do they do or what attributes do they have that make them that person. When I thought of the people that have the highest degree of influence over me I thought of a few things. They are authentic – they are real, they are genuine, they are not those people that look over your shoulder at a party searching for someone else they would rather talk to. They are committed to what they have said they will do, They are loyal to a cause and they are loyal to you and your team. They share a vision and therefore empower the rest of the group. They are inclusive and understand that when their team feels good and feels needed – it will work more easily as one. They show integrity – their behaviour serves as a role model for everyone else. There are many more attributes but you know what makes those people in your life special. I want you to take a step back and look at yourself, I have no doubt that you all hold some or all of those attributes and I have no doubt that someone holds you in that light, that you have that degree of influence. So, Greg asked me to talk about some of those things that have helped me in the positions that I now have. The reason I introduced the term leadership so broadly was basically for you to understand how I see that level and degree of influence as a key driver to effective leadership. The roles I now have as Chair of the NSW Farmers Young Farmer Council, an ambassador for Agrifood Skills Australia and a Young Farming Champion for the Art4Ag schools program – I guess I show some attributes of leadership but as I said before – I believe I am too young and inexperienced to be a fully formed leader although hopefully I am becoming one and continue to evolve into a stronger more effective one. I have narrowed my thoughts into three key areas, they are basic – nothing too incredible but perhaps the simpler things, again I will use this word, those things that we personally have influence over and perhaps its those little things we forget sometimes. This phrase – is especially important in the agriculture industry. It is incredible who people know in this industry and I am finding this out more and more each day within my role with Australian Year of the Farmer as they all link in with my other roles in the industry. – The second point which anyone who knows me will understand and that is to smile and be friendly. This is so simple but people forget to do it. When you smile and are friendly not only you as a person is happier but I will generate that smile around the room or in your group. Remember when you felt anxious and nervous – it is the most awful feeling and I get actually get these feelings quite often. However, when I am doing things with the Young Farmer Council especially – I don’t feel nervous or anxious because its my arena, I know where I am and generally what I am doing ( laughs Bec might disagree). I’m comfortable in this situation. When we have held an event and a new person joins us – you can tell very quickly if they are feeling comfortable or not. I don’t want people to feel anxious or nervous when they are around me or when they are involved with something that I am in part responsible for running. You will all agree with me – that when you see a smiling friendly person – you immediately calm and know that you have a friend. – Remember this – when your team feels comfortable, when they feel included and at ease – that is when you get the best out of them and in turn the best comes out in you and as a team you are then the most effective you can be. – Lastly, as I said this is simple stuff and this is perhaps the most simple and something you can change very quickly. And that is your appearance. The most critical time for this is when we are all just starting off in the world. We are in such a competitive environment – we cant afford to be lacking in those areas that are so easily changed. Remember appearance isn’t just what you look like – it is the whole package. I want you to literally visualise this – Two people are going for an interview. Someone who has a smile on their face, who looks great, with a strong hand shake and looks people in the eye will always have it over someone who walks into an interview who has a weak hand shake, doesn’t look them in the eye and looks like they have just jumped off the sofa after watching a twilight marathon. That is one thing that you can do so easily, that you directly influence. These little things are really important. I’m organising the recruiting process for the AYOF Road Show – I have been looking at a lot of CV’s, cover letters and those people who spell my name wrong get an immediate shake of the head. It’s the whole package, the little things matter, you can directly influence those things and I reckon we are forgetting those little things – don’t. The little things have helped me and maybe at some point they will help you to. Thanks Hollie all of us who know and love you certainly can testify your smile could light the nite sky during a blackout.